Our repeater committee, consisting of Pete Morrison, K6VVR, our W7YRC trustee: Doug Theriaul NO1D; and John Laing K7PRS, maintains our repeater system. 146.880 (-), 100 Hz PL in Prescott. This repeater does not have full coverage for the quad city area. We appreciate that Yavapai County ARES/RACES lets us use the 146.220+, 103.5 PL on Mt. Union for the club’s weekly net on Wednesdays. 447.650 (-), 100 Hz on Mt. Union. This is a Yaesu DR1-X Fusion System repeater that was installed on Mt. Union on December 4, 2015 and moved to the ARES/RACES shed on October 15, 2016. The repeater amplifier puts out about 70 watts into a Scala OG6-450 omni-directional vertical with 6 dBd gain.. This is a multi-mode repeater that can accept and process wide-band FM as well as Yaesu’s C4FM digital mode. The repeater will automatically switch modes when it detects one of the other modes. If you only have an analog rig, the repeater output puts out a 100 Hz PL tone in FM mode. You can set your receiver to decode only when it detects a 100 Hz tone so that you will not hear the carrier when the digital mode comes on. This repeater should have good coverage for most of our members. Send any comments regarding the repeater to Doug NO1D at no1d.doug@gmail.com. 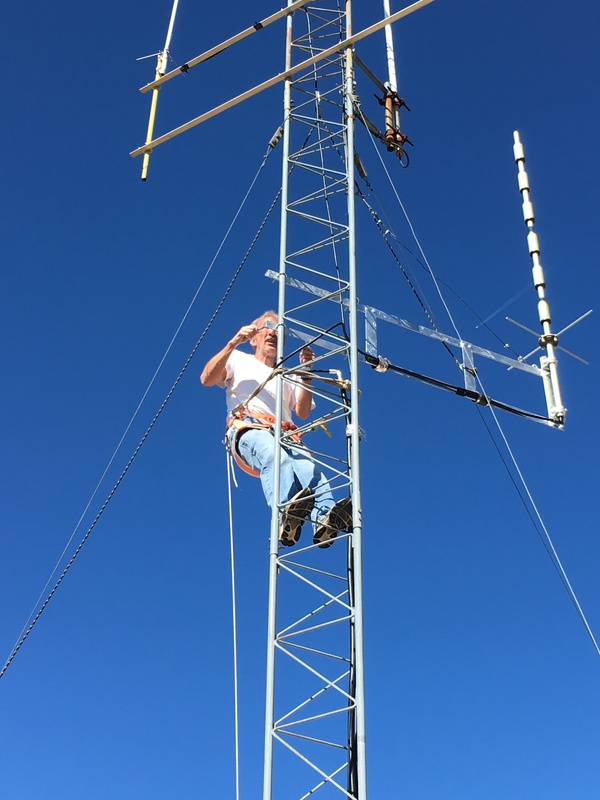 Vision for 2 Meters – There currently are no 2 Meter mountain top repeater frequency pairs available that would not interfere with repeaters in the Phoenix area. 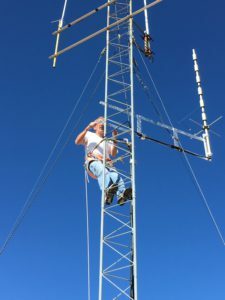 The club is looking at different antenna configurations that would possibly allow for a 2 Meter repeater installation on a mountain top location that would provide good coverage for our club members, yet not permit strong signal interference to repeaters in the diriection of Phoenix and Tucson. The club has a spare Yaesu DR1-X Fusion System repeater that could be used for this system. YARC has entered into an understanding with the Yavapai County ARES/RACES organization about use of the W7YRC repeaters during emergencies and occasional emergency exercises. During an Office of Emergency Management (OEM) declared emergency or emergency exercise, ARES/RACES may determine that they need to have exclusive use of our repeater for emergency use. In this event, YARC officers will be notified and announcements of the emergency or emergency exercise will be made on the repeater frequency. YARC members and other hams will be requested to cease and refrain from all non-emergency communications on the repeater frequency until the emergency or emergency exercise is declared to be over by ARES/RACES officials. Thanks to Terry Schultheiss KG7BAM and Jim Zimmerman N6KZ for coming up with a standard VHF/UHF frequency list for YARC members. Terry has als offered to program your hand held at the YARC Club meetings. Bring your programming cable if you have one – otherwise Terry might have one to use. Radios that Terry is able to program. Terry has the cable to program the radios that are highlighted in yellow on your list. If your radio is not on this list, check with Terry to see if he still might be able to help you. YARC Repeater List Chirp File – Click Here. You can open this file using the Chirp program to program your radio.